Kolkata: West Bengal Chief Minister Mamata Banerjee leads a rally to protest against central government in Kolkata, on Nov 24, 2014. 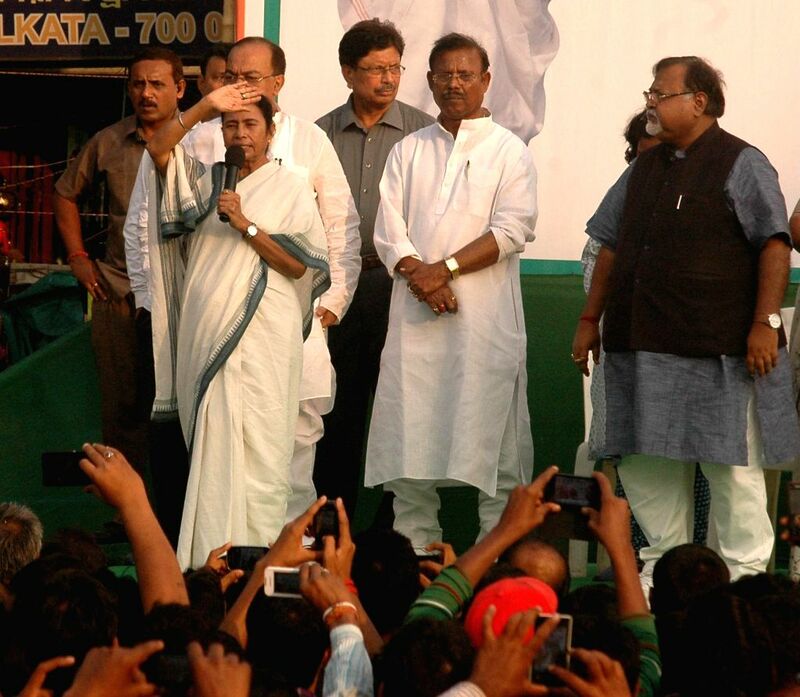 Also seen West Bengal Education Minister Partha Chatterjee, Trinamool Congress MP, actor Dev and others. 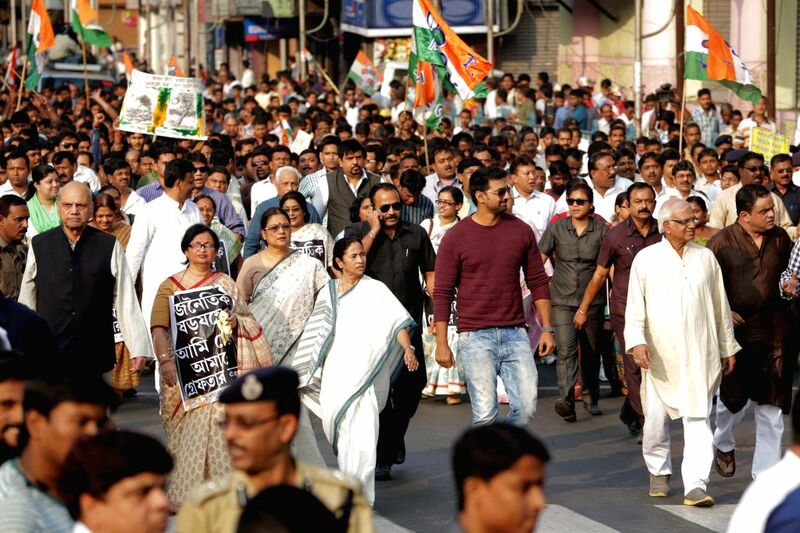 West Bengal Chief Minister Mamata Banerjee leads a rally to protest against central government in Kolkata, on Nov 24, 2014. Also seen West Bengal Education Minister Partha Chatterjee and others. 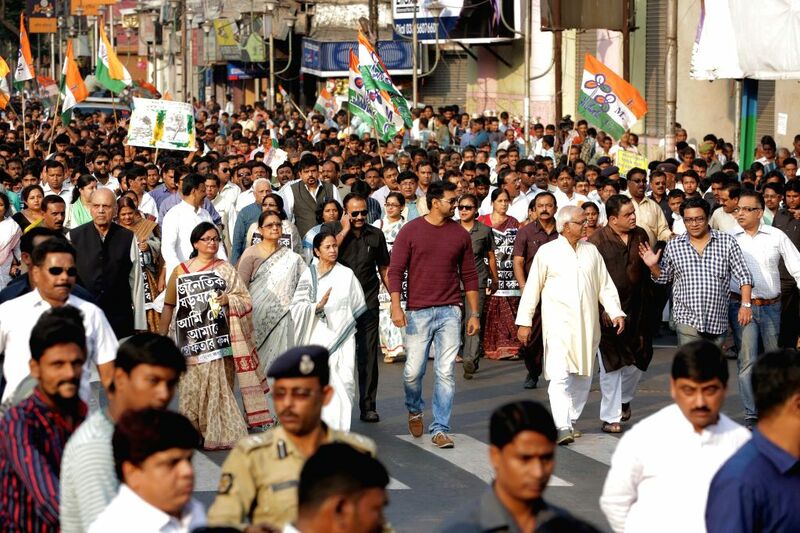 West Bengal Chief Minister Mamata Banerjee leads a rally to protest against central government in Kolkata, on Nov 24, 2014. 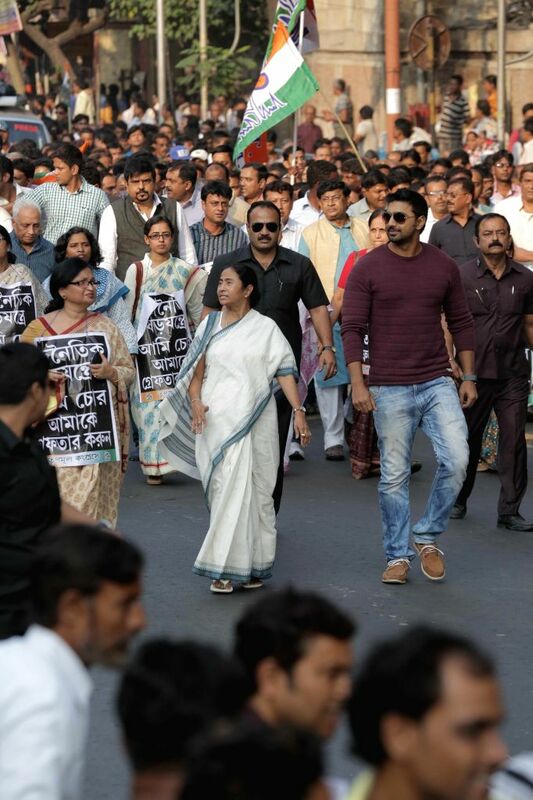 Also seen Trinamool Congress MP, actor Dev and others.